Citing an improving economy in Illinois, Governor Rauner announced today that he would restore $26 million to social service and public health grants that were frozen earlier this year because of budget constraints. Grants for autism, addiction prevention, assistance for homeless, teen REACH and other programs were impacted by the freeze. The Governor was able to restore funding to these programs because of better than expected revenues projections. 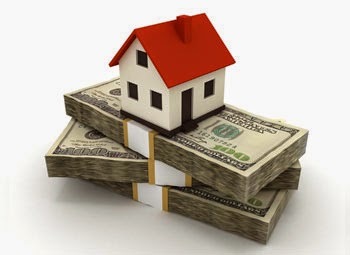 The bipartisan Commission on Government Forecasting and Accountability expects an additional $300 million to $500 million in tax revenue because of an improving economy in Illinois. It must be noted that this restoration is only for the current fiscal year that ends June 30, 2015. Appropriation hearings have just begun for fiscal year 2016. 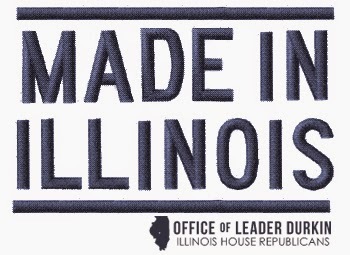 A business originally based out of California is making Illinois its home citing Illinois' improving business climate as the reason for its move. 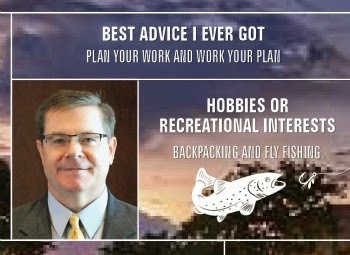 Welkins LLC was founded in 2004, but its founder, Bill Elkins has been an innovative force for much longer than that. You could say that some of his technology and inventions are literally out of this world. Elkins has been called “one of the true fathers of the spacesuit” and his work with NASA in the 1960’s put him in U.S. Space Foundation’s Space Technology Hall of Fame. WElkins prides itself on creating innovative cooling systems for the “hospital, sideline, battlefield, and beyond.” Their cooling technology can help prevent concussions, heat stress, and can be used for therapeutic hypothermia, just to name a few applications. Representative Barbara Wheeler (R-Crystal Lake) has filed House Resolution 404 in an effort the reexamine the impact of PARCC testing on Illinois. Wheeler’s resolution also calls on the State Board of Education to be more transparent about the implementation and use of PARCC. Representative Sheri Jesiel (R-Winthrop Harbor), of the neighboring 61st District, has joined Wheeler in this call, along with several other General Assembly members. Wheeler continued, “Many of my colleagues and I have been hearing from parents that are greatly concerned because their children, who are good students, have become so overwhelmed by testing that doesn’t align with their classroom instruction. 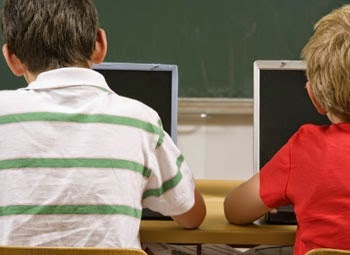 As a former teacher, and a more importantly a parent, it’s clear we need to reevaluate PARCC and ensure that it doesn’t hinder our children’s scholastic success.” Read more. 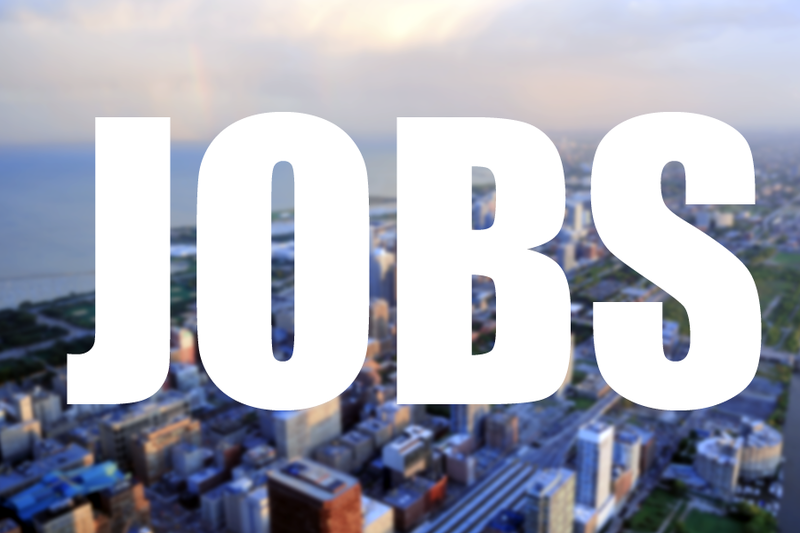 Rauner would get to establish a private Illinois Business & Economic Development Corp. that would pick up many of the key functions of the Illinois Department of Commerce and Economic Opportunity, a state government agency. For instance, the corporation would have the power to negotiate tax incentive deals with companies, subject to final approval by DCEO. 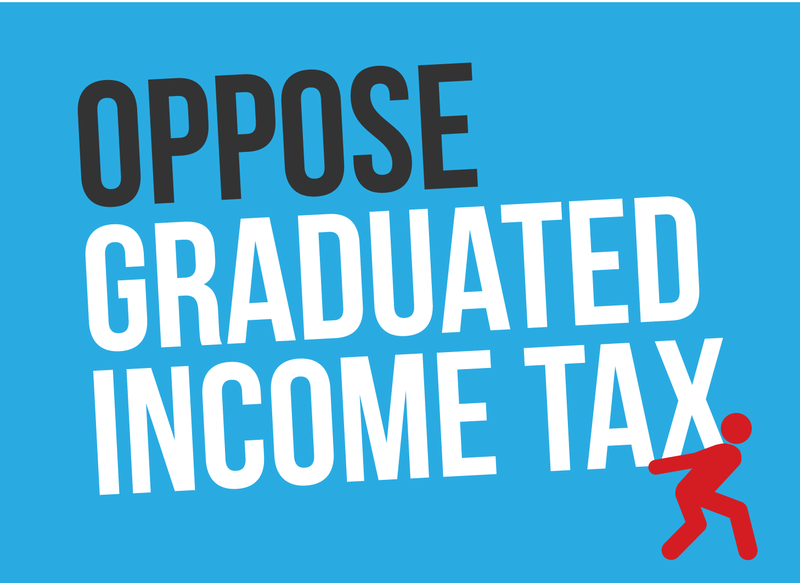 The idea is similar to proposals Rauner made during his race for governor. Read more in the Chicago Tribune. 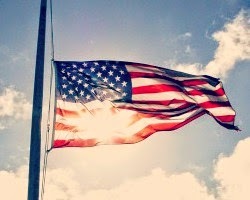 Legislation inspired by the funeral of Marine Corps Maj. Reid B. Nannen of Hopedale passed the Illinois House Tuesday, the latest step in an effort to allow state and national flags to fly at half-staff in honor of Illinois military personnel killed while training or on active duty. The bill is sponsored by State Representative Keith Sommer (R-Morton). “With this change we can correct a mistake in Illinois’ Flag Display Act which only allows flags at state facilities to be flown half-staff for Illinoisans killed by hostile fire instead of including those who are lost while training for active duty,” Sommer said. The bill passed the House Veterans Affairs committee last month following testimony from Dale Nannen of Hopedale, Reid Nannen’s father. Dale Nannen testified that Marines who came to his son’s funeral commented to him on their surprise at seeing flags in Illinois not lowered to half-staff. He also mentioned that friends had told him that flags in Nevada, the site of the accident, had been lowered to half-staff the day after the crash. Read more. The Illinois Department of Transportation (IDOT), in conjunction with the Illinois Capital Development Board, announced today the start of a series of listening sessions over the next month to discuss the state’s infrastructure needs and the steps required to make sure the right investments are being made to keep Illinois competitive in a 21st century global economy. 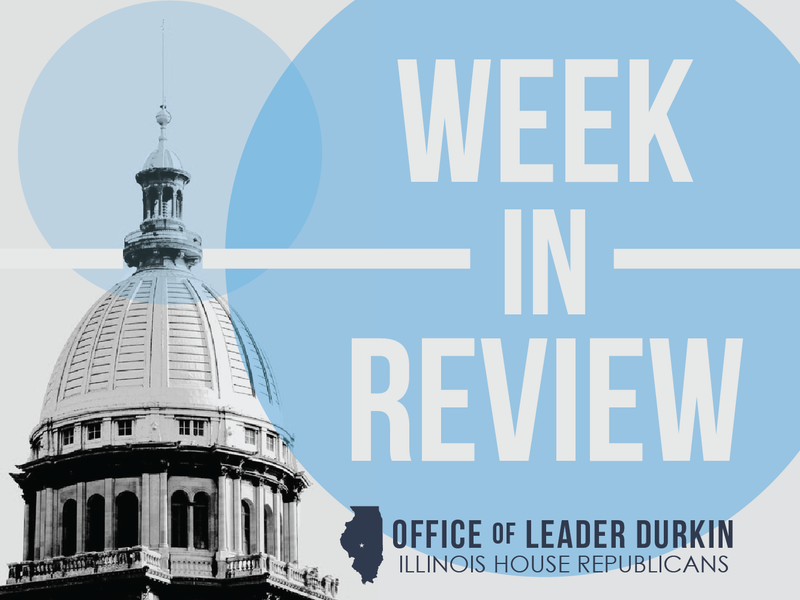 The meetings will be held in multiple communities throughout the state, with a goal of presenting Governor Rauner’s office with a comprehensive package of recommendations for consideration this spring. State Representative Sheri Jesiel (R-Winthrop Harbor) passed her first major piece of legislation in the Illinois House of Representatives this week. 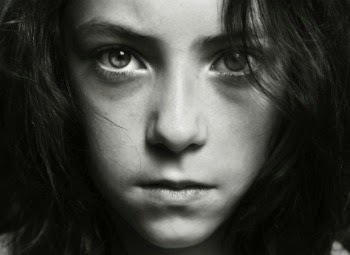 The legislation, House Bill 2822, creates the Human-Trafficking Task Force Act. The task force will examine the traumatic impact that human-trafficking is having in Illinois and offer solutions by June of 2016 as to how the state of Illinois can counter this surprisingly prevalent practice. “Although many of us don’t realize it, human-trafficking occurs right under our noses each and every day in many of our communities,” said Jesiel. “While there are many initiatives under way around the country and Illinois that seek to curtail human-trafficking, many challenges still remain. 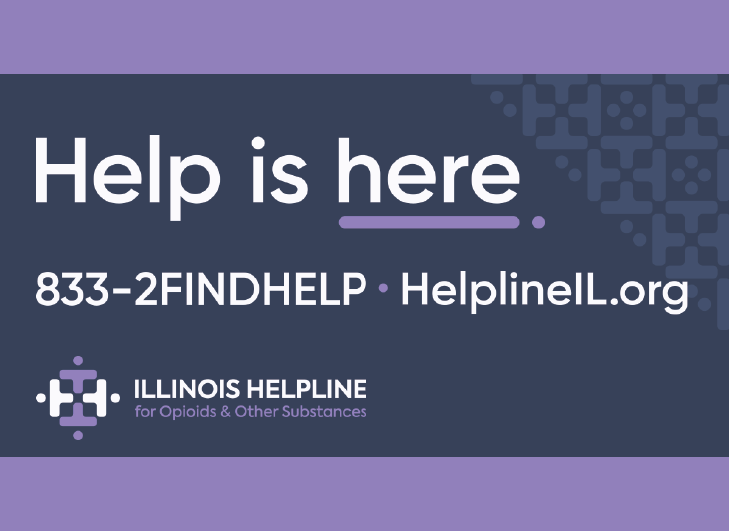 This legislation allows for a thorough examination of how the perpetrators are circumventing current law and recommend better methods so that we as a state can stop this heartbreaking practice and rescue the thousands impacted by this each and every day in Illinois.” Read more. 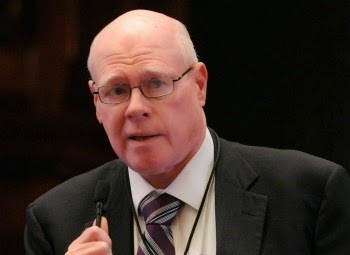 State Representative Michael McAuliffe (R-Chicago) is looking to keep the important work of the Illinois Hepatital C Task Force rolling by extending the groups charter as set by the Illinois General Assembly as established in May of 2013. The group, which first met in February of 2014, has met consistently on a bi-monthly basis and has produced a multitude legislative initiatives aimed at curbing the growing issue of Hepatitis C in our veteran and senior communities. The group has also hosted Hepatitis C Day at the State Capitol which provides informational displays and brings leading medical experts and free screenings to our State’s capitol. Read more. 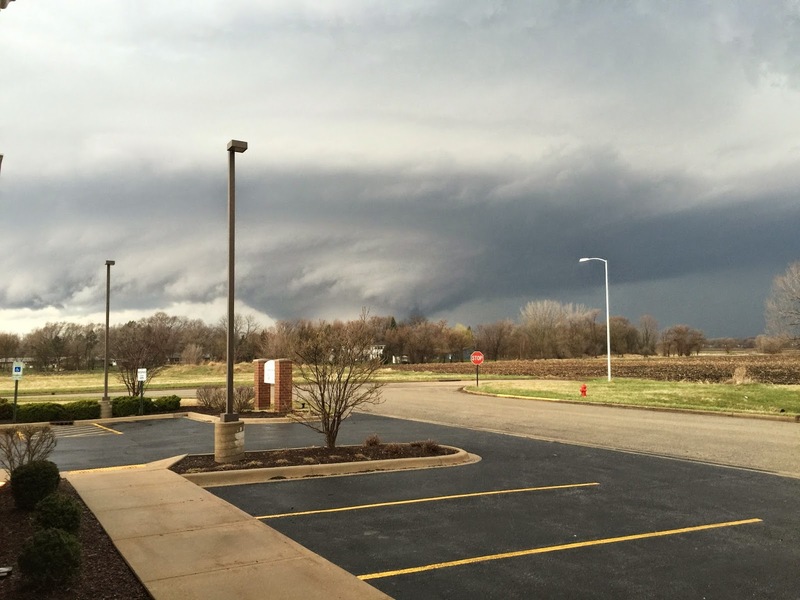 Tornado that hit Rochelle and Fairdale classified as EF-4 twister. The classification placed the deadly April 9 Fairdale tornado in the next-to-the-highest category of storm severity. 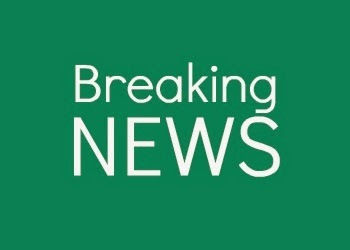 As of Wednesday, April 15, two persons were confirmed dead. Massive property damage was being inventoried assessed. Governor Bruce Rauner has mobilized the State of Illinois’ emergency-response efforts and declared DeKalb and Ogle Counties to be disaster areas. Ever had a chicken nugget or picked up some pre-sliced deli meat? You know those tiny slips of paper in between premade patties? Of course you do. Provisur Technologies is a company you probably have never heard of, but their products are ingrained in our national food culture. Provisur is a classic story of American ingenuity; the company was started in a garage in Mokena, Illinois by Lou Richards in 1970. Now, Provisur is a worldwide leader in manufacturing food processing, slicing, grinding, forming, and packaging machines, delivering products to over 100 countries. Back in 1970 the company went by the name Formax, and many of its products are still known today by that name. From its inception, the company has grown, spurred on by its partnership with McDonalds and revolutionary products, and was brought under the umbrella of Provisur, a company that houses six of the leading food processing brands. 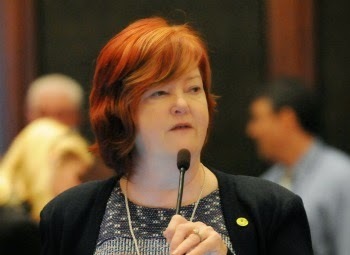 State Representative Margo McDermed (R-Mokena)’s bill to address runaway severance agreements passed the House on Wednesday with a vote of 114-2. 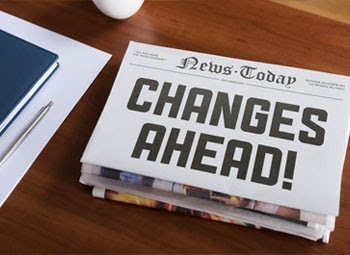 HB303 amends the Illinois Freedom of Information Act to ban to ban a government body from concealing the terms of a severance agreement funded by tax-payer dollars. It provides protection for trade secrets, proprietary information, or other exempt information. 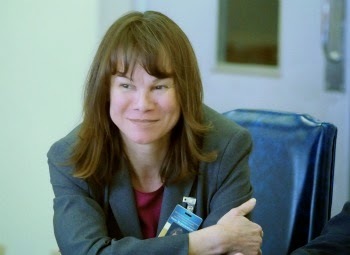 The bill was initiated in response to egregious cases of severance payments in the past few years such as a $763,000 severance agreement provided to the outgoing President of College of DuPage, Robert Breuder, and a $700,000 severance agreement given to former Metra CEO Alex Clifford. 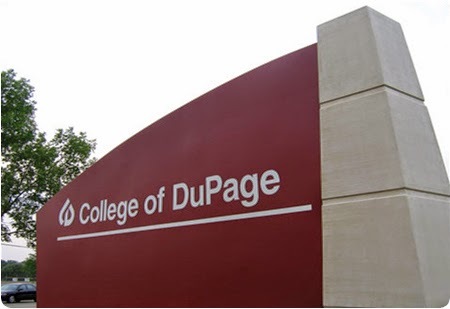 The bill is a part of the College of DuPage reform package. Read more. 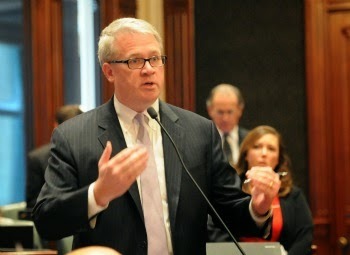 State Representative David Leitch (R-Peoria) announced today that two bills he sponsored to improve mental health services in Illinois have both cleared the Illinois House. ...Leitch also passed a second bill on Tuesday to increase mental health services for older Illinoisans. HB 3753, which passed 110-1-1, would integrate mental health services for older adults in primary care medical settings. “Often, mental health issues for older adults are identified at a much lower rate than other adult populations. Undiagnosed mental illness for older adults is a huge problem in our care delivery system. OSF St. Francis Medical Center in Peoria is already moving this direction, but this bill would authorize the Illinois Department of Aging to enact the same protocols,” said Leitch. Read more. 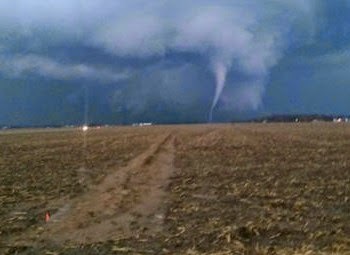 Tornadoes lash north-central Illinois near Rochelle and Rockford. The twisters touched down late Thursday, April 9. They caused at least two fatalities and extensive property damage in Fairdale, located in northwest DeKalb County. Governor Bruce Rauner activated the State Incident Response Center Thursday night. The emergency response center coordinates the efforts of local and community first responders to a disaster. It will, if necessary, supervise the deployment of non-community specialized response teams for further aid and assistance. Photo taken by Rep. Tom Demmer from his office. Governor Bruce Rauner declared DeKalb and Ogle counties state disaster areas. At least two people in DeKalb County are reported dead and roughly a dozen more injured. Dozens of homes and businesses have been damaged or destroyed. Every standing structure in the village of Fairdale, IL was either damaged or destroyed by last night's tornado. Kirkland and Rochelle also sustain significant damage. 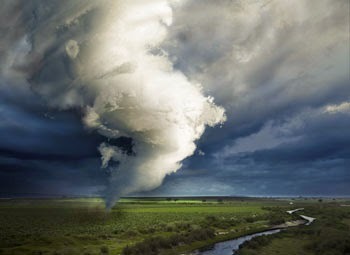 Here are tips for surviving a tornado, provided by Dr. Greg Forbes, severe weather expert at The Weather Channel, and NOAA's Storm Prediction Center. 1. Figure out a safe place to ride out the storm. 2. Get away from windows and get underground. 3. If a tornado appears while you're on the road seek shelter. Don't hide under an overpass. No shelter, find a ditch. 4. Put on your shoes – and a helmet. 5. Keep your pets on a leash or in a carrier, and bring them with you. 6. Don't leave your home and try to drive away from a tornado. The College of DuPage Board of Trustees will soon be looking at a Clean Slate. 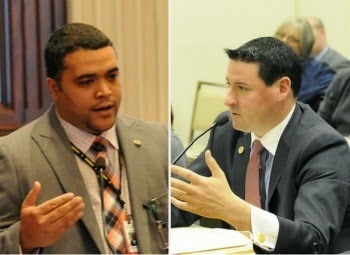 The trio of candidates that campaigned under the name the Clean Slate and received significant support from Vice Chairwoman Kathy Hamilton swept the April 7 election. Deanne Mazzochi came in the lead with 42,903 votes, according to preliminary reports from the DuPage County Election Commission and the Will and Cook county clerks. Frank Napolitano followed with 34,011 votes. Charles Bernstein was third with 28,352 votes. All candidates will commit to 6-year terms on the board. The slate won all three seats in DuPage and Will counties and two out of three in Cook County, with incumbents Nancy Svoboda and Kim Savage pushing Bernstein into fifth place. 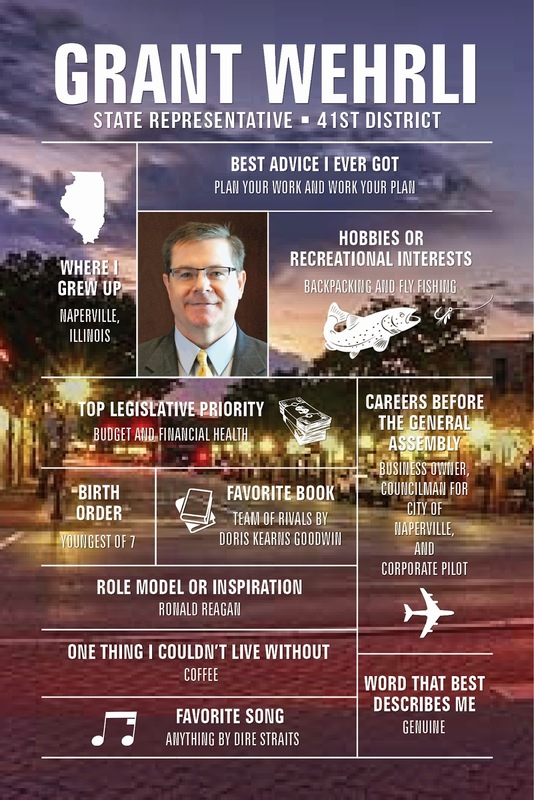 Read more in My Suburban Life. 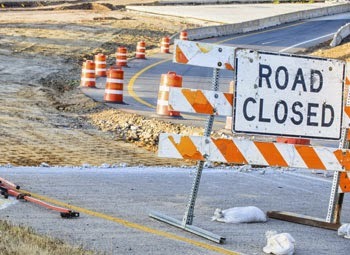 Road construction projects are popping up all over Illinois along with work zone designations. 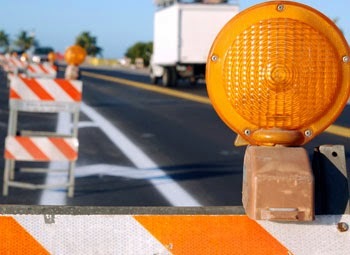 Do workers have to be present to receive a speeding ticket in a work zone? Workers do not have to be present for a motorist to receive a speeding ticket in a work zone.